Home Computer Remotely Shutdown Computer With Phone (Step by Step Guide). Hey Friends wassup...!! 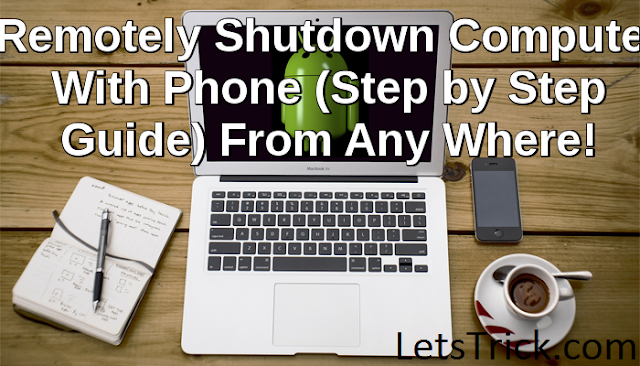 Do you wanna know how to remotely shutdown your computer with a phone then you are at perfect place. Today I'm gonna give you a step by step guide with which you can remotely shutdown your pc. Are you tired of of searching on internet that how to remotely shutdown your pc with phone, on internet there are so many guides are available on this topic which will help you to remotely shutdown your windows pc but these are not perfect one. I have studied all over the internet and then I found this pretty awesome trick to remotely shutdown a pc from anywhere. First of all you must have a phone which have internet connection active and then we need a computer which also have active internet access. 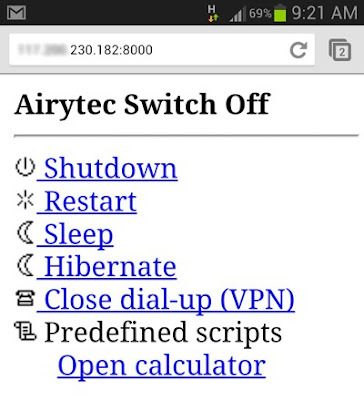 Then we need a software named as "Airytec Switch Off", this is really free software and easy to use. This Airytec Switch Off software will help you to remotely shutdown your pc with phone from anywhere. This software generally works on every window system including window 7 and window 8 etc. There are so many Advantages of this software like apart from remote shutdown feature this software also have other awesome features like restart, automatic shutdown and logging off your windows pc. You must be thinking how you can do this remote shutdown your pc. So let's just directly come to the point how to remotely shutdown pc with phone. Just follow these bellow given steps one by one to learn more about remote shutdown. Step 1 :- Download Airytec Swith Off software on your pc and install it. You may also like "How to change window password without knowing old password". Step 2 :- Now in your windows notification bar you'll see the icon of this software just click on it. Step 3 :- Now you will see menu window will open in front of you, you should select a schedule from select schedule drop down menu and set a time period according to you (in this time period your computer will be remote shutdown). Step 4 :- Now bellow select schedule option you will see a drop down menu of 'select action' just choose 'Shutdown' from this menu. Now you have to tick or choose these three options one is "Force applications to close" and another is "warn me before executing action" and last one "run whether users are logged on or not". You may also like "Lock and unlock computer with USB drive". 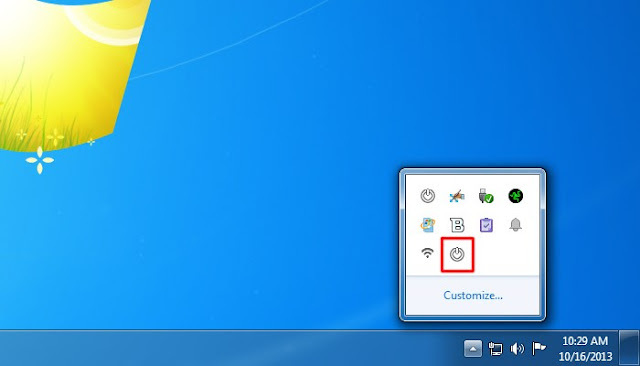 Step 5 :- Now again go to windows notification bar and right click on this software icon and then click on "Options". 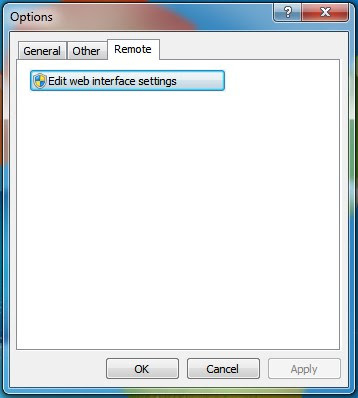 Step 6 :- Now a new Options window will open in front of you, just click on "Remote' tab and then click on "Edit web interface settings". 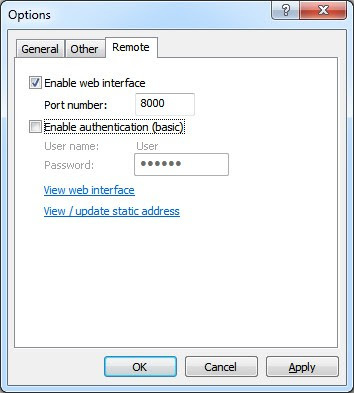 Step 7 :- Now you have to tick or check the first option " enable web interface". Do not check any other option over there,then click on "Apply" button. 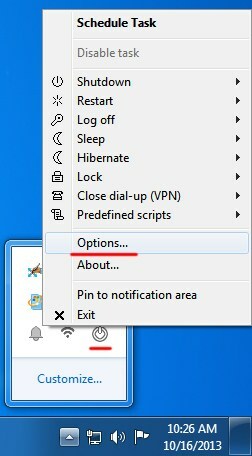 Step 9 :- Now again go to your windows notification bar and double click on that software icon, Now click on 'Enable Task" option. You may also like "How to increase your hard disk size upto 2 TB in window 10". Step 10 :- Now open that IP address ( which you copied in 8th step ) in your phone's browser. You will see something like this. 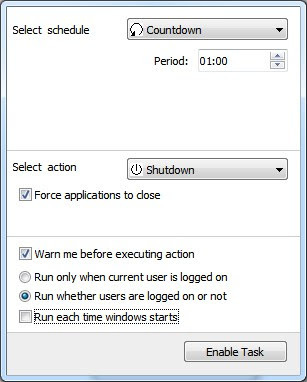 Step 11 :- Now just click on "Shutdown" option and then a remotely shutdown warning will be show in your computer and then your pc will be shutdown instantly. Now you have successfully learned how to remotely shutdown computer with phone from anywhere. I guess it might be important to shut down a computer remotely with a phone. What if you are at the airport and forgot? What if someone stole it, and you don't want them to see private documents. Thanks again for visiting my blog yesterday and the great compliments.